In today’s post you will find everything about the interior decoration of small houses, small rooms, bedrooms, kitchens, bathrooms and ideas for all your spaces, considering the size of each of them. In addition we will see the right distribution for each space so you can take advantage of them to the fullest. You will love the proposals! Many people relate beauty and style in the decoration but in large and very striking houses, but nothing has to do with the size, of course it influences the final result of the decoration but it is not the most important either. That’s why today I want you to know everything about the decoration of small spaces that with a good decoration, harmony and special details, nothing will have to envy to more spacious houses. 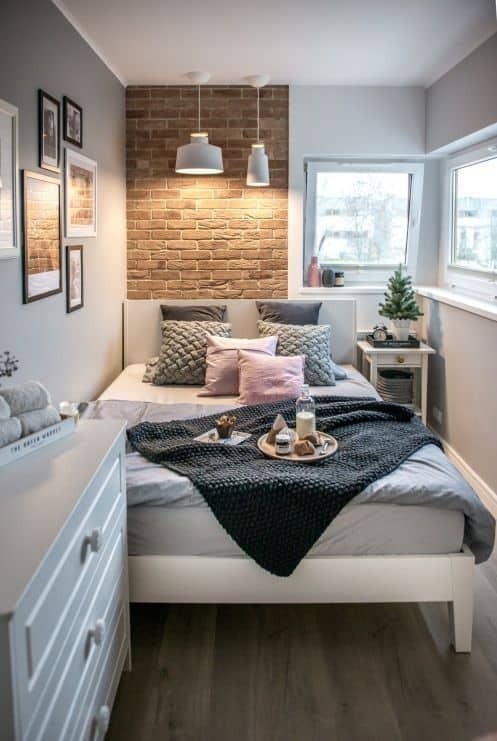 You can choose between different styles of decoration that stand out better in small spaces, the keys is that this house looks presentable, homelike and with a unique style. 4 How to light a small house? 5 How to decorate a small bathroom? 6 How to decorate a small and modern living room? 9 How to take advantage of the space of a room? The façade is very important in the interior decoration of small houses, because they are the first thing our guests will see when they arrive. It is the first impression of what you will see inside our house. 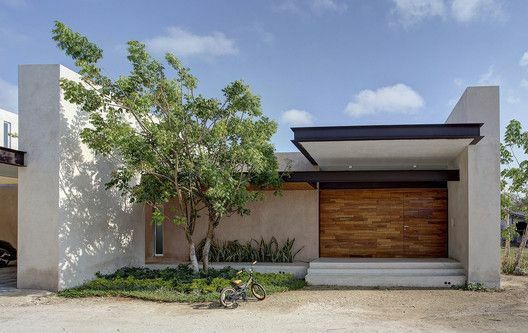 The facades should also be distinguished by straight lines, simple designs but with super special details that make the house look very stylish and classy. You can choose to add a fence or a fence, of course all in one color and with simple details, put aside the very ostentatious or striking designs, these will shrink the model of your home and if it is already a girl, we do not want that effect at first view. Leaving the garden in the front outdoors will always be a plus in view of our house, so try it, you can add shrubs, large planters, pines or miniature trees. It will look super modern! Other of the most important aspects to consider in the interior decoration of small houses, will be the colors we use to decorate our spaces, both from the outside and each part of our house inside, that is, living room, dining room, bathrooms, rooms , etc. Do not just take into account the size of your space that is what many people do, who say this color does not fit, this one, do not do it, just listen to what you want and how you would like your space to be seen, there part to choose the best option, for example if your favorite color is black but this will make the spaces look smaller choose to add the color in decorative accessories instead of the walls It would be a way to listen to you and respect the rules of decoration! These colors can greatly influence how we perceive spaces, since light colors will make each room look wider, in addition to beautifying them you can resort to light colors but for example, pink, orange, green, etc. In its most clear tones. The blues are the most recommended for indoor because they manage to convey much peace and serenity, ideal for places of rest as rooms or living rooms. The color green and orange or coral, were the colors most used in 2018 for interiors such as living rooms, bathrooms and main rooms. This range fascinates me! Take off the idea that decorating a small space is decorating it with bad taste, is the first step to get the interior decoration of your house right. Look at your lobby as the letter of introduction to your home as your family and yours. It is probably one of the most important spaces to consider in the interior decoration of small houses , since depending on how we decorate this place, it will be the impression of our guests when they arrive at our home. The ideal is to decorate it with light colors, as I have been saying from above and avoid the combination of many colors or contrasting colors. So we will give you a broader perspective. 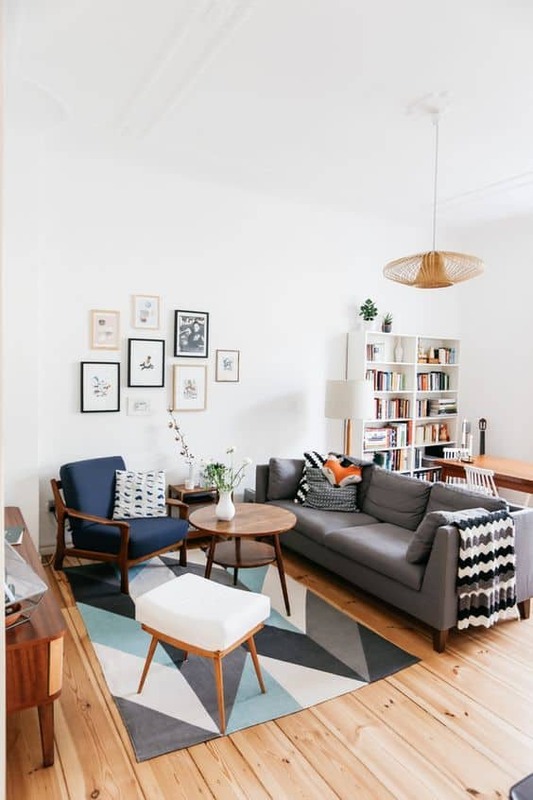 Some of the decoration styles that favor small spaces are the minimalist style, the Nordic style and the contemporary one. These can do all the work for you, you just have to choose the right object, it can be a mirror, a decorative figure, a table for the hall or a vase. What would you use? How to light a small house? If we illuminate our spaces well the house will seem bigger the key will be that you do not miss any details that in other cases if you ignore, for example the ceiling, this way you will give more depth to your spaces, If you do this you will create shadows that will disguise the original size of your room or the space in which they are. Many people realize that their home needs improvements in lighting when they realize that their furniture does not look the way they are in the furniture store, that they do not highlight their colors, shapes and even the brightness of them. That’s when we should pay attention and check what lighting errors we are committing. In the interior decoration of small houses a good method of giving more light to the spaces in a “natural” way and without much effort is adding to the design of your rooms large windows, this will make your room have a better lighting already included, the rest you will leave it in artificial light. Having higher ceilings can also help your space fill with light, you can also use pendant lamps, chandeliers, floor lamps or any other model of portable lamp that can be changed in future remodeling. When you are going to complement the interior decoration of small houses with lighting, I recommend that they be lamps with metallic details or in solid colors, they will look much better. 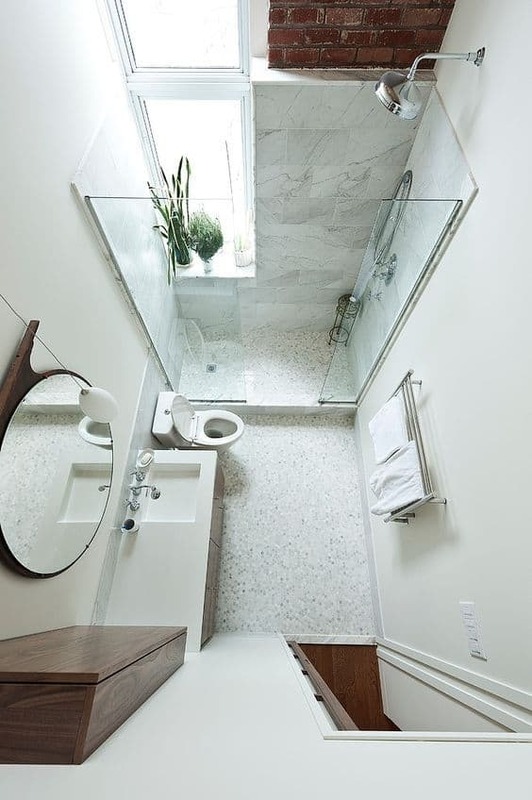 A bathroom in the interior decoration of small houses must meet certain requirements that in the end are the same type of requirements for any of the other spaces but with some specifications, for example that light colors are used in the decoration of these spaces , put metal accessories, but smooth, make use of glass, add large windows to the area of your shower so you have different sources of light, you can add artificial light to the colors of your sink mirror, this will make it look more elegant and better illuminated, do not forget the ceiling light It will look super elegant! Take advantage of every inch you have, if your bathroom is too small that does not have space for the shower do not worry give depth to the decoration with an interesting wallpaper, like the one that is just below. A completely white bathroom is an excellent option that will give the visual effect that the bathroom is bigger, you can choose to leave a smooth wall or use white vitropiso or tiles to protect even more the durability of your bathroom. I explain? That your bathroom is small does not mean you can not make the most of the space you have with some drawers that can provide extra storage options. How to decorate a small and modern living room? When decorating a small living room is concerned but at the same time you want to give it a very modern style there are certain guidelines that you can follow to achieve it, among them is to get to each space its maximum potential, depending on what can work. Some of the most important options is that you use functional furniture, are all those furniture that we can use for two or more different things in the same space such as a piece of furniture for television, that we use to store documents or other accessories. Avoid loading your spaces with decorative accessories or furniture too large. The key to interior decoration of small houses especially in living rooms is that you add one or two decorative accessories that become the protagonists of the space. Abusing these details will make your living room look very saturated. The sofas in L are one of the best options in interior decoration of small houses because you can find in a lot of measures that will make you take advantage of the space of your living room. 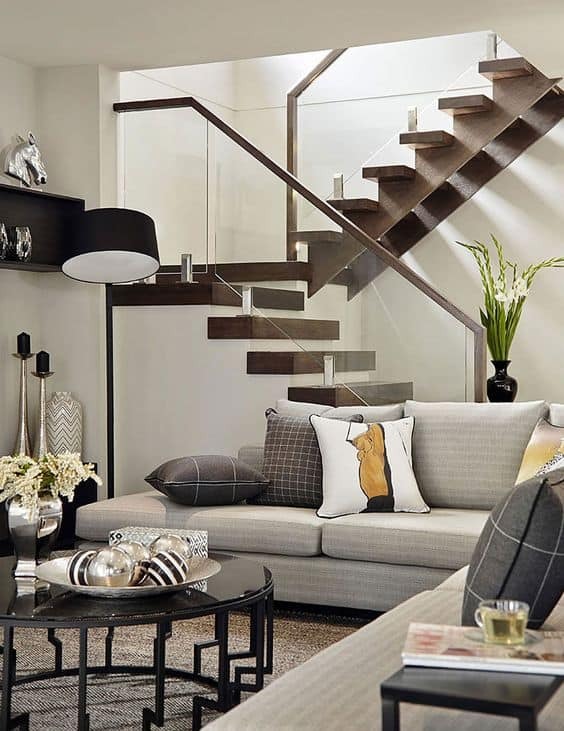 Just as mentioned above uses light colors for decorating the interior of your home, if you want to add powerful colors I recommend that it be decorative accessories such as cushions, carpets, rugs or decorative paintings that you can put on the wall. 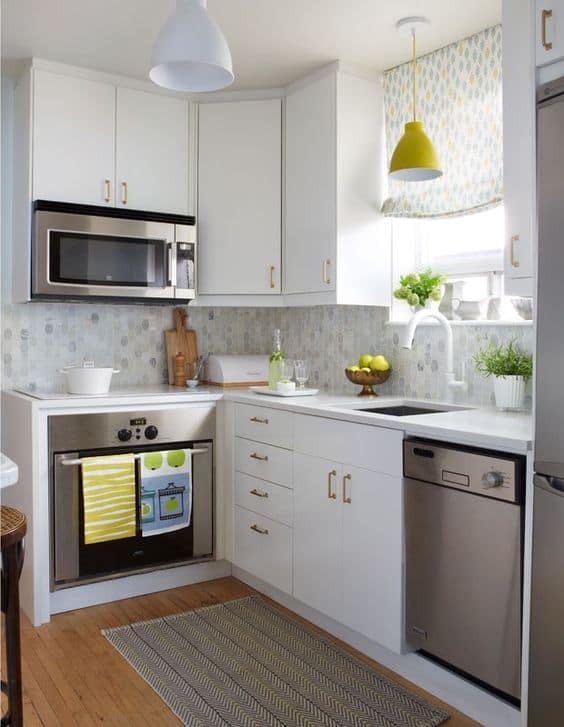 One of the best ways you can make a small kitchen look is by adding built-in lighting, which is an excellent way to give your kitchen more depth, a greater sense of spaciousness but above all a super modern look. Look at the space of your kitchen as a space to work, because it is where we prepare our food and make desserts, in short we take our skills as bakers. We must achieve an adequate space for all this, which allows us to have a functional, pleasant, orderly place that looks amazing to the eye, do not you think? The integral kitchens are an excellent way with which you can take advantage of space of the wall and part of the ceiling as storage of your kitchen, in these drawers you can store pans, glasses, dishes, all the kitchen utensils that you can imagine and that are going to allow to have your kitchen cleared. Here I leave you a model where you get the most out of an integral kitchen, you can add them in the color you prefer, but my favorite color will always be the white, plus the space will be brighter. The floor and lighting play a very important role in the design of our kitchens so you must take care of these, there are many designs of smooth and neat floors that are ideal for small kitchens. In this section I will give some practical tips with which you can decorate your dining room if it is small, since as a complement to the interior decoration of small houses is a small dining room, the first advice I can give you is that the round tables are perfect for these dining rooms. You can create layers in the decoration of your space with carpets or rugs on the floor. The floor should be a neat and smooth floor that can give prominence to other details of your dining room. In terms of lighting, it is ideal to receive a lot of natural light from the windows, you can favor these details you can add smooth and thin curtains in light colors to your kitchen to serve as diffusers of light, so a softer light will enter. 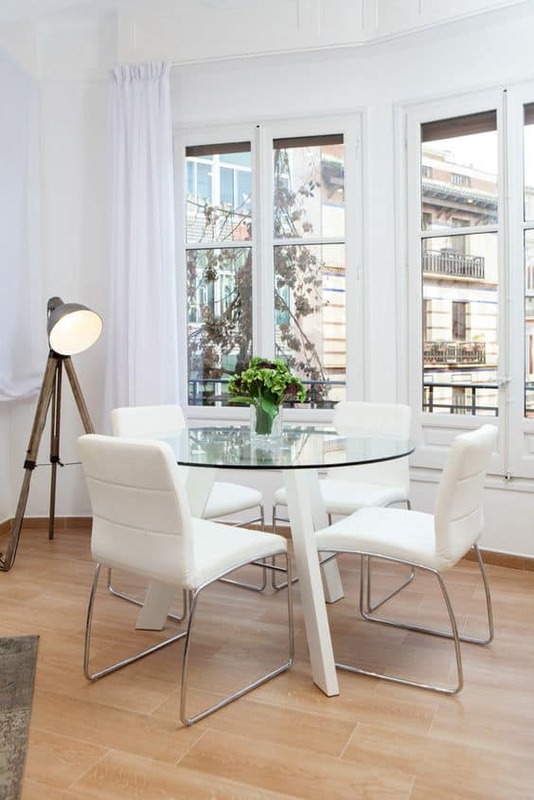 The glass tables are a great option for the decoration of small dining rooms because they look more elegant neat and give the feeling that they are smaller even if they are a large dining room, which is what we want for our small kitchen. You can abuse the light colors in furniture, on the walls, in the light, since for these spaces I recommend even more the white light than the warm one. What do you think of the suggestions? How to take advantage of the space of a room? Many think that decorating a small room and making it look cute is impossible, but none of that, on the contrary look at the positive side of the matter, you will not spend as much on decoration because you will need less paint, less decorative accessories, less furniture, etc. The options to maximize the space of your room are many the point is that you implement them correctly, one of the most imitated options is to have multifunctional furniture , for example a piece of furniture in which you can store your clothes or shoes but at the same time serve as a shelf or furniture for television I mean? The key in the interior decoration of small houses is not to saturate the spaces with unnecessary things, that is, not to put extra furniture, decorative objects left over, etc. Take care of the way in which you distribute the furniture in your room, I advise you to look for a visual harmony that will make it look much better and wider. Add depth to your room with a wall of interest, it can be upholstered or decorated with photos, have a large mirror or something similar that makes it focus all the attention on that. A closet in the interior decoration of small houses is key, but if this is inside your room, you have many options, the first is to make a built-in closet, although this has its disadvantages that you can not change places. On the other hand you have the option of creating a rock table closet which you can cover with curtains or with normal doors for a room or leave it as an open closet, but this one has its disadvantages that will make your room look a bit smaller, so the ideal is to have doors. Make your room look even more neat and wide, because you are playing with the size of the dimensions, as the white color gives a sense of spaciousness and will make the spaces more illuminated. 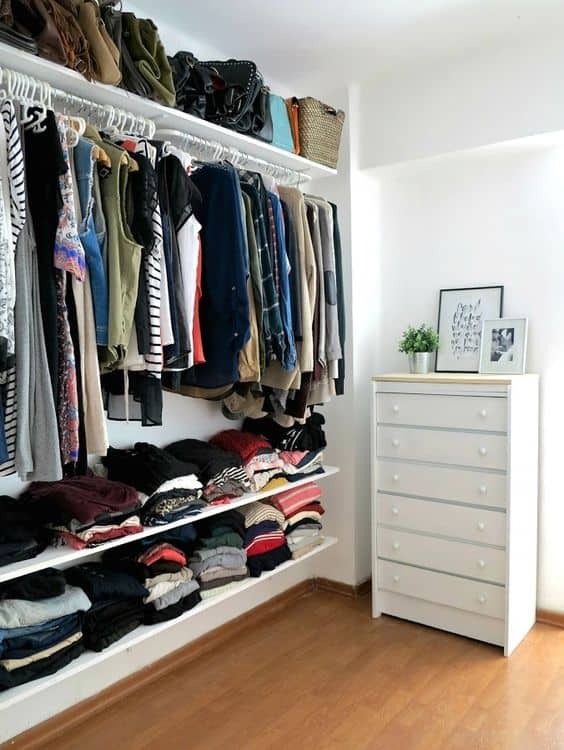 Having a closet for each accessory of our closet is a privilege that you can give yourself, since you can place it in any other space of your room not necessarily inside your clothes closet. It can be a piece of furniture on the side of your bed or the furniture of the TV. to mention some alternatives. When it comes time to decorate rooms for children in small houses the key is to take advantage of all the space you have in useful things and that your child or children will actually use. For example, if you only have a room of 4 square meters and two children, the ideal is to opt for bunk beds, so you have space for a closet, bedside tables, bookshelves or toy store. The point is to create the perfect environment in whatever space you have, I mean? 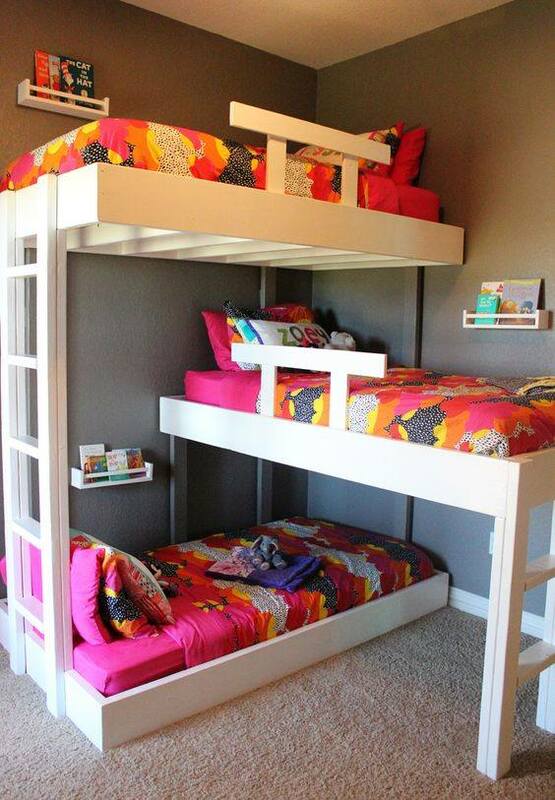 Personal bunk beds, I think, are the best options for children’s rooms in small spaces. Keep things in order and have spaces designated to each of your children’s things will help you to make this space always look clean, appreciate the decoration well and do not look younger than it really is. As in the rest of the spaces of a small house, I recommend that in the room of your children use light colors that give more visual amplitude to your room. When it comes to interior decoration of small houses but we do not have the biggest budget there is nothing better than putting into practice DIY ideas of decoration , so in this small section of the post you will run into a series of ideas that may be useful when you feel that you need a nice decorative detail to some space in your home, all these proposals are super easy to achieve, the materials are very easy to get even many you will have at home, accompany me to see them in detail below . The mason jars for a very long time were the most popular artifacts in social networks, so this time the first proposal is with them you just have to decorate them outside with frost of the color of your choice, in this case they are gold, a color that is with everything, you can use them in vases, to organize pens, colors or beauty items, you just have to coat them with glue and then bathe them in the frost and ready. What do you think about the idea? As you can notice in the interior decoration of small houses many times the key is in the details, so add them. In this case the idea shows us a DIY rug very easy to do, you just have to get a thin network and go putting yarn, the idea is to make pompoms with the yarn to put them there in your network. This is an excellent idea that as you can see is just decoration, if you have a shelf or a bookcase that you feel you need something I recommend you try this idea, you just have to draw or print covers of books and paste them on a hard surface to They look like real books. How are you? I loved the idea! This idea fascinates me as you can see in the image is super easy to achieve, you just have to stick on the screen of your lamp at night petals of fabric like the ones you will see in the image, the result is just perfect. You like? This idea is similar to the first one with mason jars. What do you think? I love it! It is a super useful option.